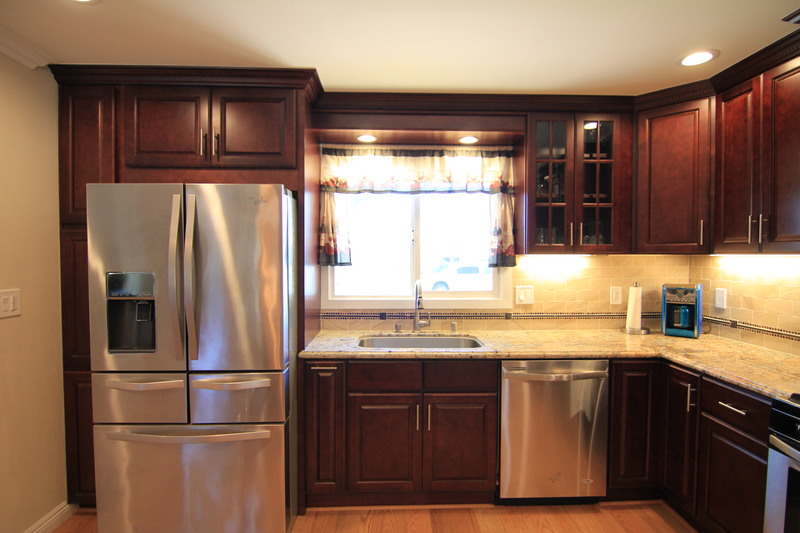 After a fire had started in the back bedroom, the homeowner decided to take advantage of being displaced from their home during repairs to renovate the kitchen as well. 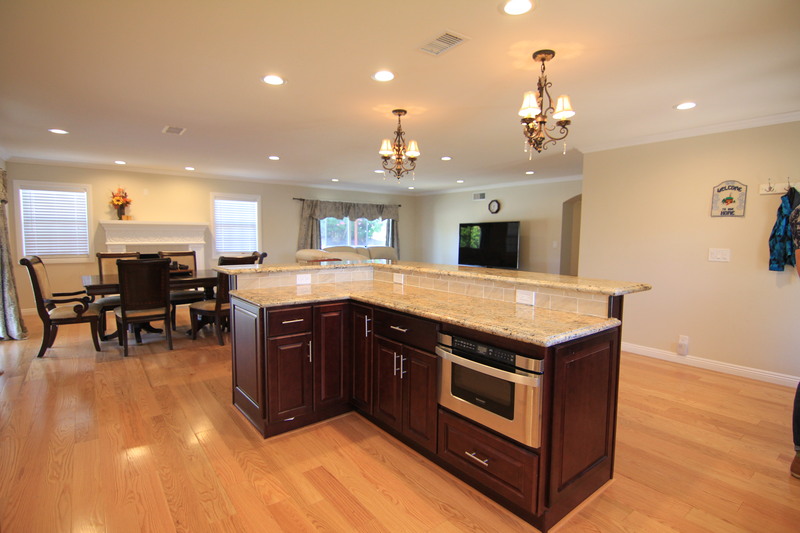 Originally there was a long wall that separated the kitchen and dining area from the entry and living area. 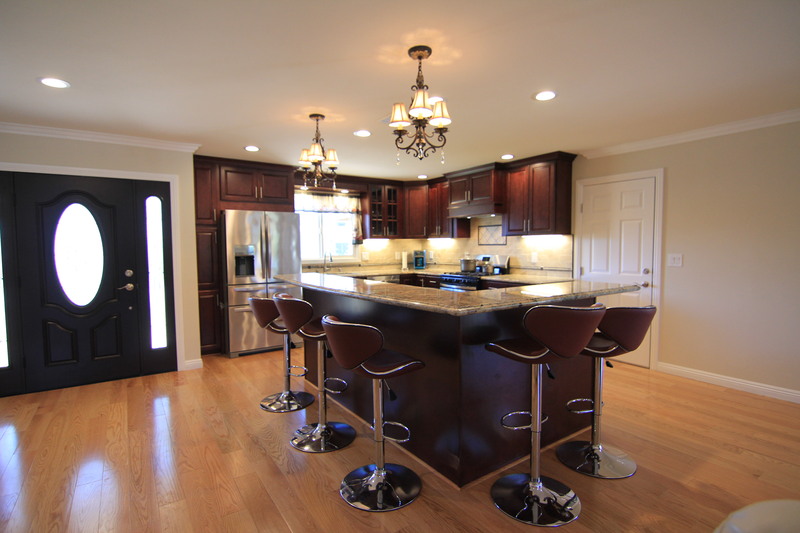 By combining a series of structurally-engineered beams pushed into the ceiling we were able to open this wall and achieve the open floor plan they were after. 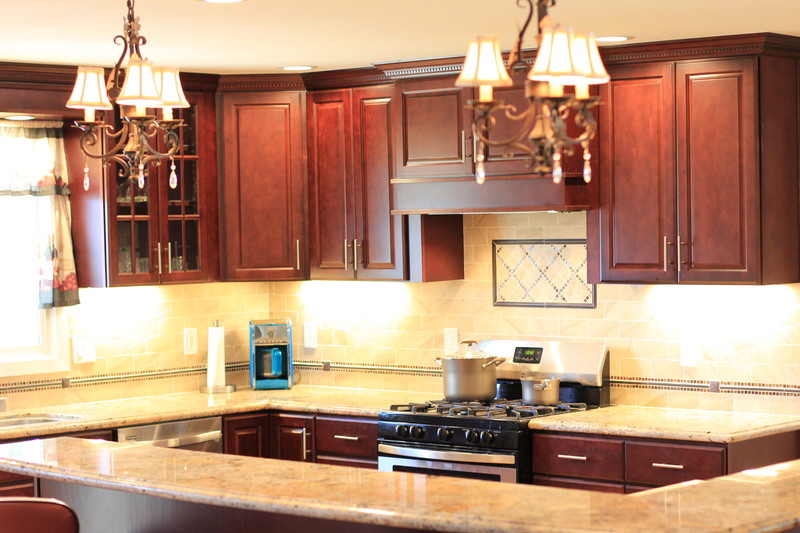 With the style of the homeowner being more traditional than contemporary, we elected to install a two-level arched-edge island rather than a single-level countertop surface. 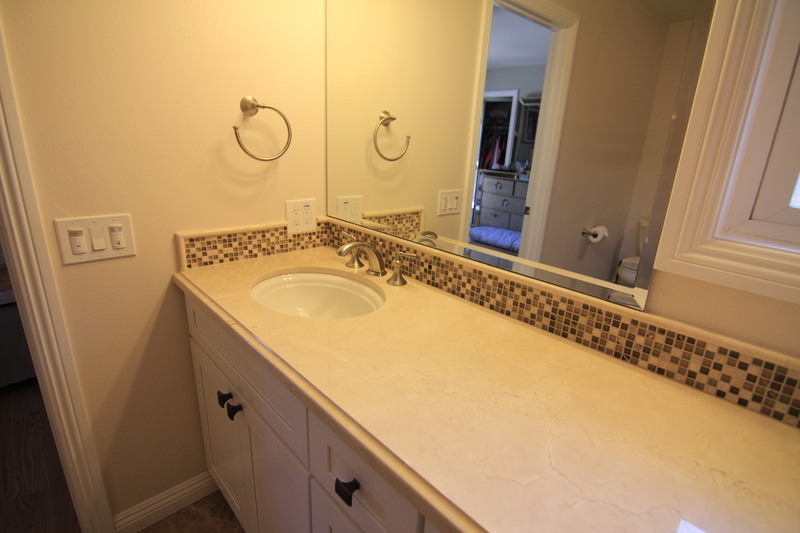 This gave us a logical place to design countertop seams as well as install above counter top electrical outlets making for an overall more usable work space. 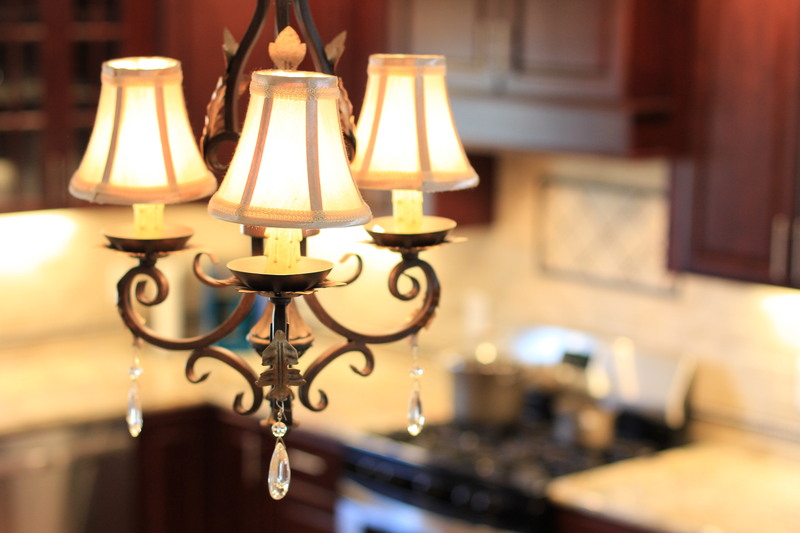 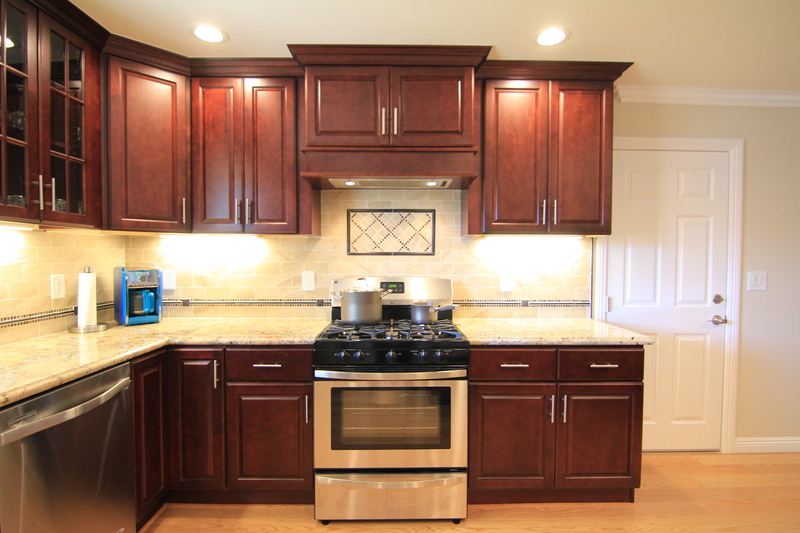 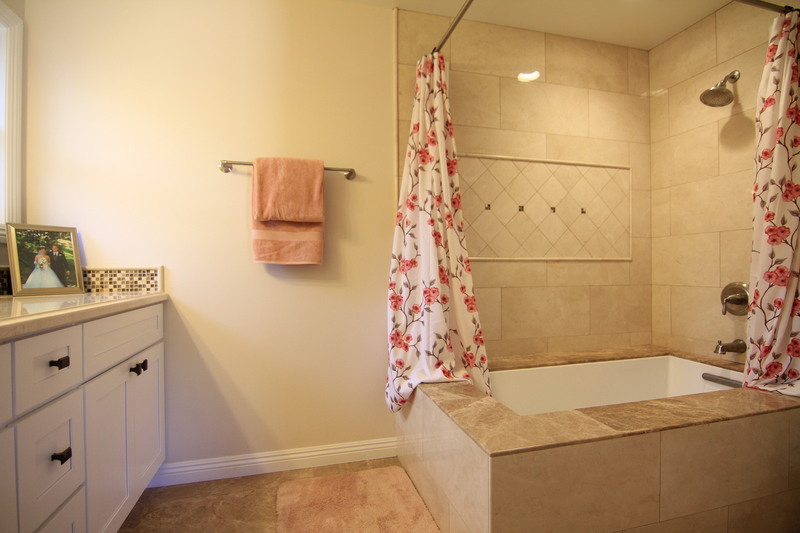 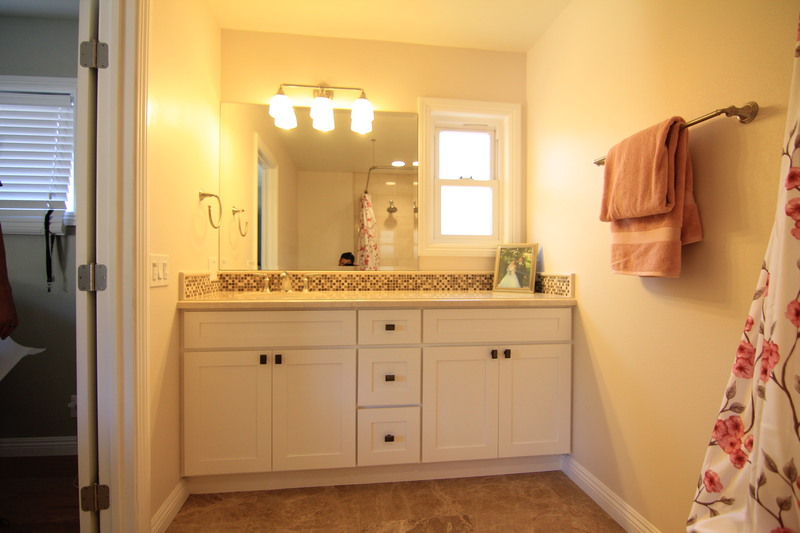 In addition to the major Kitchen remodel the homeowners decided to upgrade both the master and the hall bathrooms.